Eventhough I've been using computers since the days of B.I. (Before Internet), I was never really good at this web thing. Sure, I use the web every day to research problems; I set up the very first personal web server in Thailand back in 1993; I use Blogger to keep this blog; I've also helped friends set up their websites and debug website problems; but I never bothered to learn the intricacies of coding HTML or CSS or implementing a CMS. 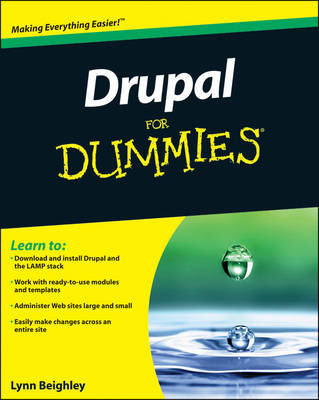 So, I was just browsing around randomly on Amazon.com when I came across Drupal For Dummies . I've always heard that Drupal is a complex but fully-featured content management system, but graduating into a Dummies book? (Then again, I shouldn't feel too bad, since Windows Server 2008, which I live and breath everyday, is also a Dummies book .) But, I thought I would check it out just to prove that I'm not a dummy. Off to drupal.org to read some docs. It looked interesting, so I thought I would give it a go. 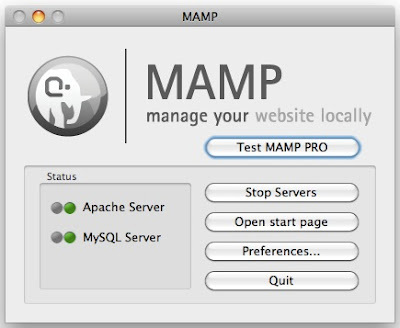 But first, I had to get MAMP to get Apache, MySQL, and PHP on my Mac. Next, I downloaded the Drupal distribution and extracted it into the htdocs folder inside MAMP. I created a database using phpMyAdmin, then browsed to to the local website, and completed the Drupal installation. 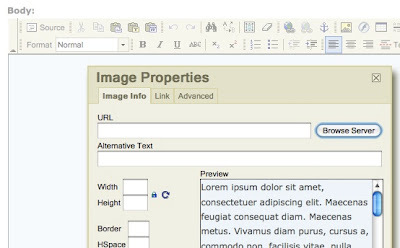 When I tried to make the first test post, I found to my surprise that the editor isn't a WYSIWYG editor. Off to drupal.org again. I realized that I have to install a module, and there were actually a number of WYSIWYG editors to choose from. I picked FCKeditor since I was familiar with the name when I helped someone with her website last year. My next surprise was that even with FCKeditor installed, there was no easy way to upload images. (I'm comparing Drupal with Blogger's editor, which is the only web editor I'm familiar with.) After a bit of browsing around, I picked IMCE and installed it into FCKeditor. So now I had a near fully functional CMS site running on my Mac. All in less than an hour of work! Selecting the right CMS is very vital I always choose Drupal. Because As the most popular Ivy League schools use Durpal, I really dove into Drupal For our Drupal hosting I always use Pantheon including fast cache responses which Content Management System do you use?